It’s a longtime fixture of TV news — anchors thanking reports after they toss back to the studio from a live shot. But one Chicago viewer doesn’t understand why the reporters needed to be thanked for doing their job. 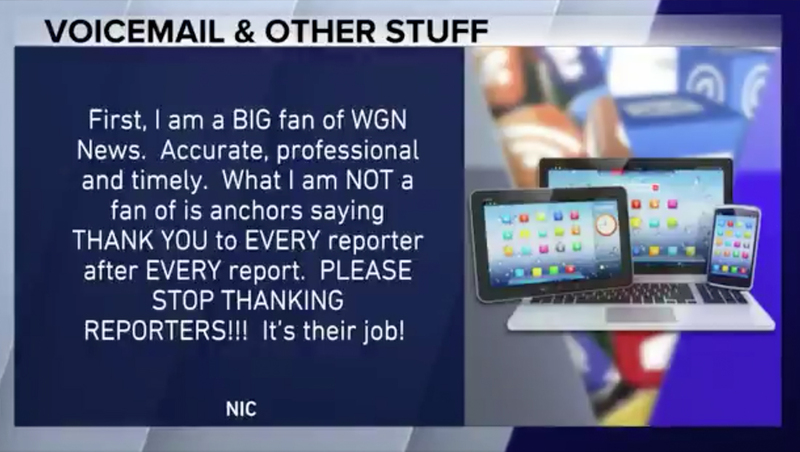 “Nic” wrote in to WGN complaining “What I am NOT a fan of is anchors saying THANK YOU to EVERY reporter after EVERY report. PLEASE STOP THANKING REPORTERS!!! It’s their job!” (emphasis his). WGN “agreed” with Nic — and to show off their “new approach,” plaid a short montage of reporters tossing back to the studio, with the anchor still saying “thank you” — but bleeping out the word “thank” — which obviously resulted in a much different tone. Some stations do, as a point of style, not thank reporters after reports — which can often be viewed as a way to save some time and keep the newscast’s pacing up. Likewise, some station’s don’t have anchors introduce themselves on air — instead relying on lower thirds to do that job. In an unscientific linguistic study here at NewscastStudio, we determined that saying “thank you” takes, at most, about two seconds (even accounting for the reporter’s name). Given that reporters work hard to deliver stories every day — no matter how trivial, it seems that, in the toxic environment toward the media as simple “thank you” is the least anchors can do. Of course, that’s not even accounting for times when reporters are risking their own safety to bring viewers the news — so again, a simple “thank you” seems worthwhile. As for the “just doing their job” argument — most civilized people still thank everyone from waitresses to doctors for doing their job — whether it’s bringing you a cup of coffee or, you know, saving your life. 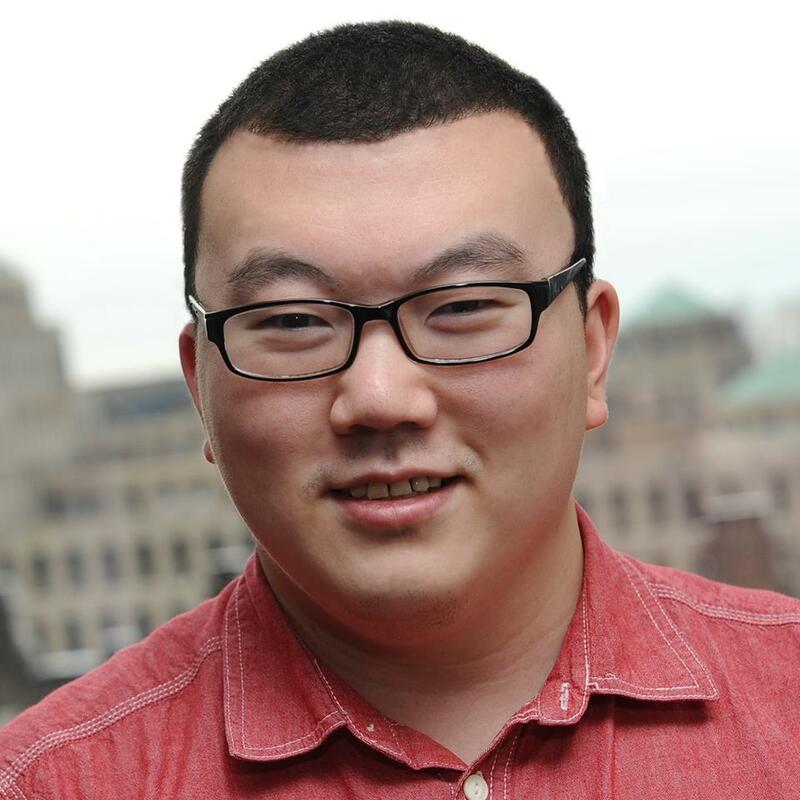 Plus, keep in mind that anchors and reporters are colleagues — and spend a lot of time with each other off the air (and, despite the cheery crosstalk viewers see, just like any workplace there’s always office politics and tension between staffers), so keeping things civil on air certainly doesn’t hurt anything.